Attorney supports Tampa Police bicycle safety awareness program - J. Steele Olmstead, P.A. TAMPA — J. Steele Olmstead of FloridaBicycleLaw.com has donated $2,000 to the Tampa Police Department for more “Share the Road It’s the Law” decals on the police cars’ rear windows. Shown here with Steele is Tampa Mayor Bob Buckhorn and Chief of Police Jane Castor of the Tampa Police Department accepting the ceremonial check. The stickers will be placed on new and remaining cruisers which will patrol the streets of metropolitan Tampa. Steele made the contribution after coordination by SWFBUD (South West Florida Bicycle United Dealers) head Alan Snel. SWFBUD is the alliance of Tampa Bay retail bicycle stores and bicycle lawyers committed to growing bicycling in Tampa Bay. Steele is a proud SWFBUD member lawyer. 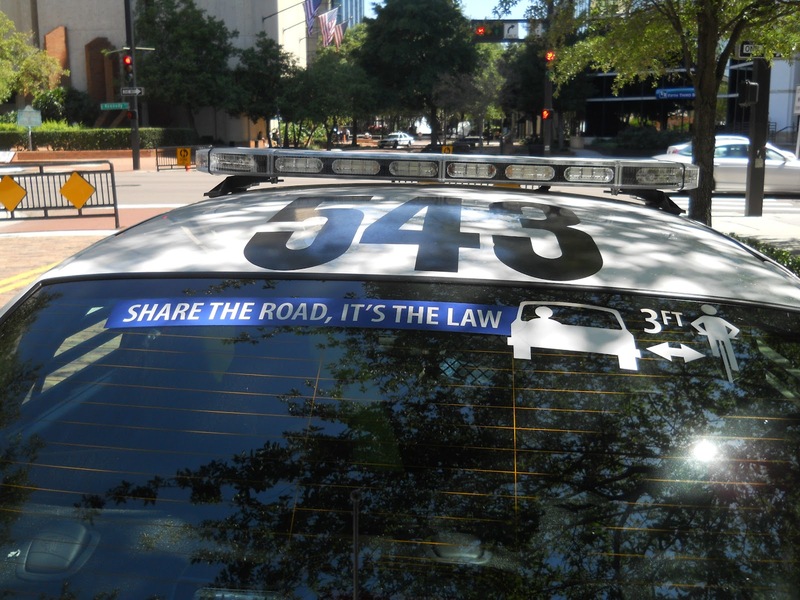 Last year, Tampa Police began using the “Share the Road – It’s the Law ” decals, which extend across the width of the police cruisers’ rear window, and can be seen easily by anyone following any Tampa police cruiser. Seen in the second picture, the decals tell motorists that they must pass a bicyclist by a minimum distance of three feet in compliance with state law. 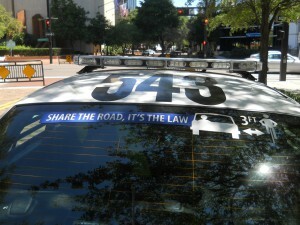 With the $2,000 donation, Tampa Police will be able to buy even more “Share the Road” window decals. SWFBUD has worked with Tampa Police Sgt. 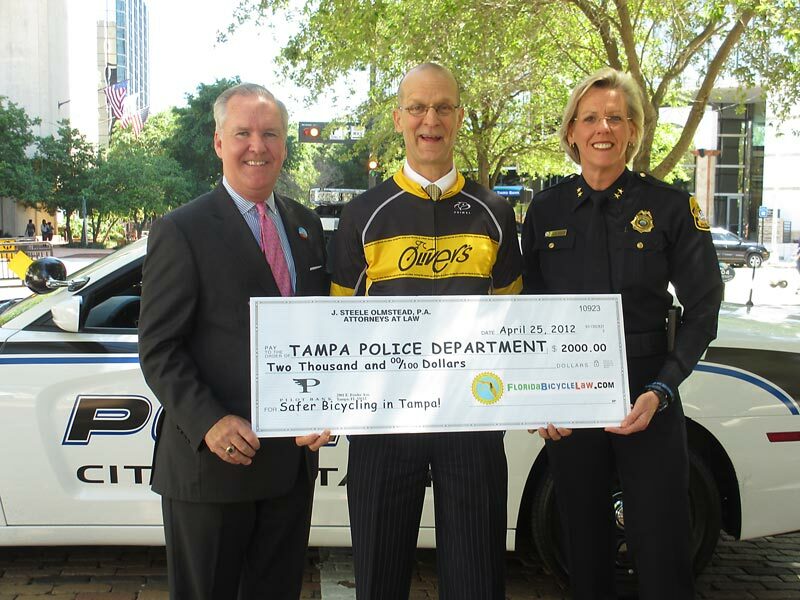 Carl GiGuere to arrange the donation by FloridaBicycleLaw.com and Olmstead to the Tampa Police Department. “SWFBUD appreciates the Tampa Police Department’s efforts to make the city more bicycle-friendly,” said Alan Snel, SWFBUD director.